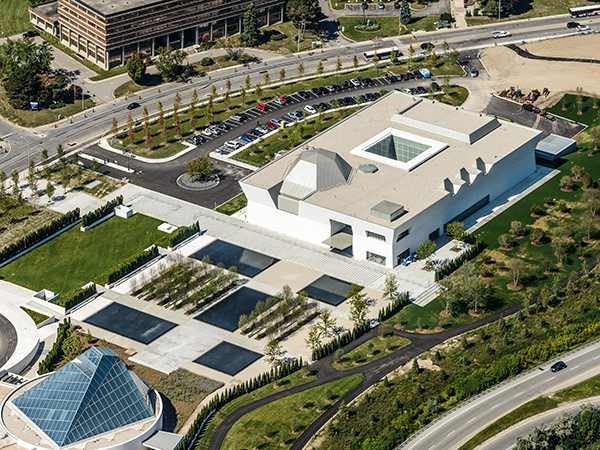 Home to the Aga Khan Museum, a repository of Islamic art and culture, and the Ismaili Centre, a religious site and venue for promoting the heritage of Ismaili Muslims, this 6.8-hectare site comprises four hectares of public gardens designed by Lebanese landscape architect Vladimir Djurovic with Moriyama & Teshima Planners. The Bata Shoes Headquarters, a Modernist building designed in the mid-1960s by John C. Parkin, previously occupied a portion of the site, and was demolished in 2007. 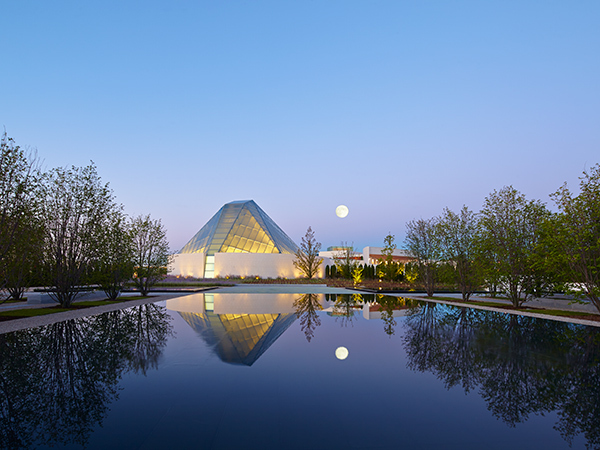 Two kilometers of pedestrian trails encircle the property, meandering among more than 1,000 shrubs and 500 mature trees, the latter including honey locust, magnolia, and dawn redwood. 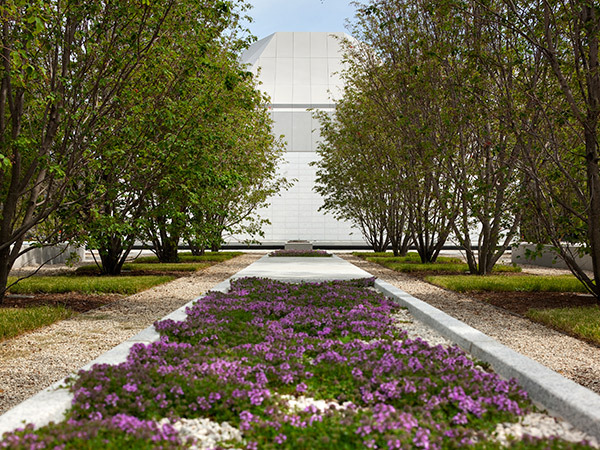 Situated between the museum and the Ismaili Center is the design's central, unifying feature: a formal geometric garden enclosed within a cedar hedge. 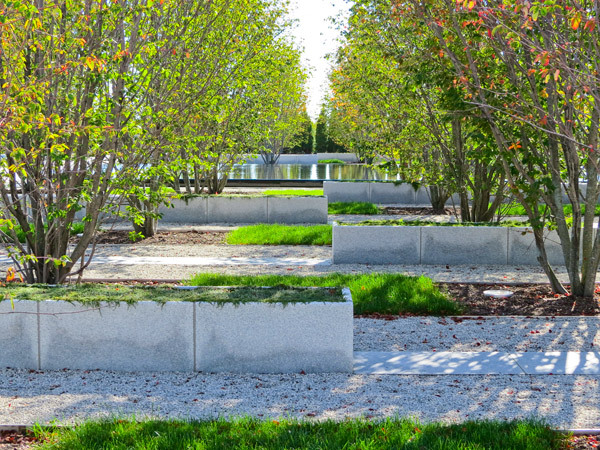 The space contains five granite-lined pools in a quincunx pattern, whose mirror-like surfaces reflect its surroundings. 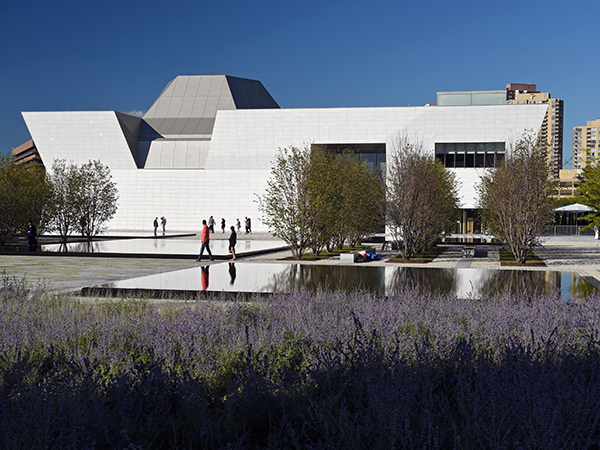 Adapted to suit its contemporary context, the design recalls a traditional ‘Charbagh’—a quadripartite Persian water garden divided by axial channels of water or footpaths. 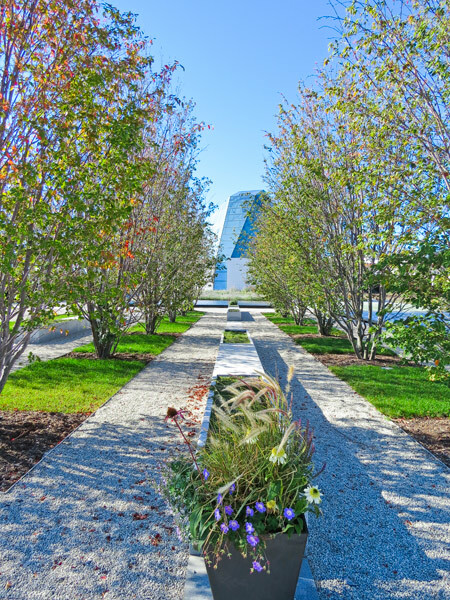 Flanking the central pool, serviceberry trees are planted in eight parallel rows, divided by walkways and raised planting beds. 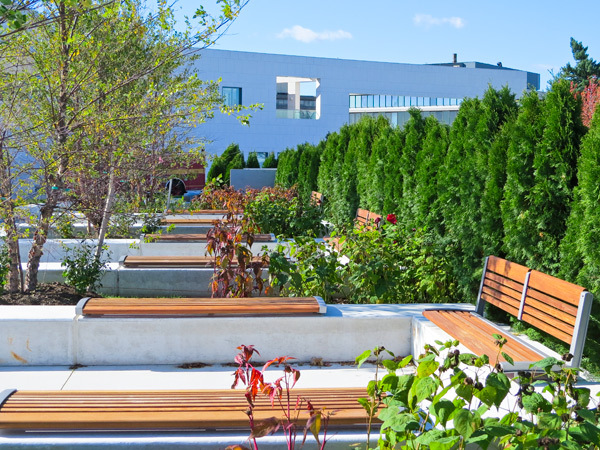 The trees’ colors modulate seasonally among whites, reds, and purples while their berries attract birds. 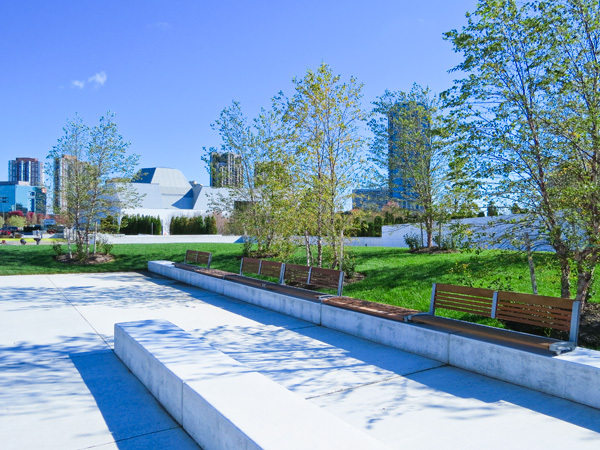 The campus is located in an area with few pedestrians, and the inclusion of a subterranean parking garage to accommodate 600 cars was critical in dedicating generous space for its park-like grounds.